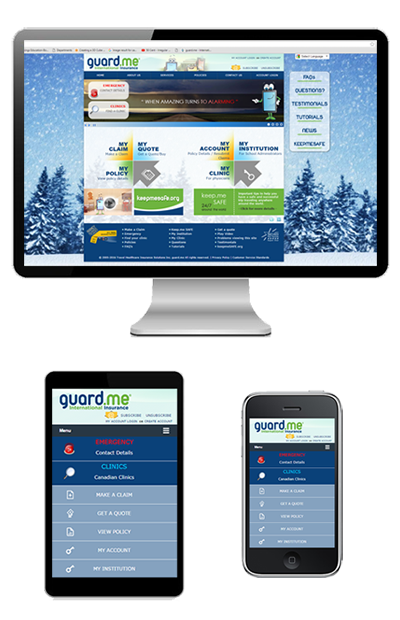 Our goal at guard.me is to make the insurance process worry-free, so we offer full and secure access to policy and claims information for students, educators and partner agents online - whether on a mobile device or via the Web. Customer service and satisfaction are the first priorities at guard.me. In addition to our 24/7 telephone contact centre support, we were first in the industry to offer comprehensive services via secure log-in to our Website.